10th March 2017…Hilton Hotel in Liverpool City Centre. Those present witnessed a fabulous night celebrating all things blue on Merseyside. The night started with the introduction of our very own champion boxer, straight offf the back of a much lauded win against David Haye, Tony Bellew as he was greeted with great raptures from the entire audience. 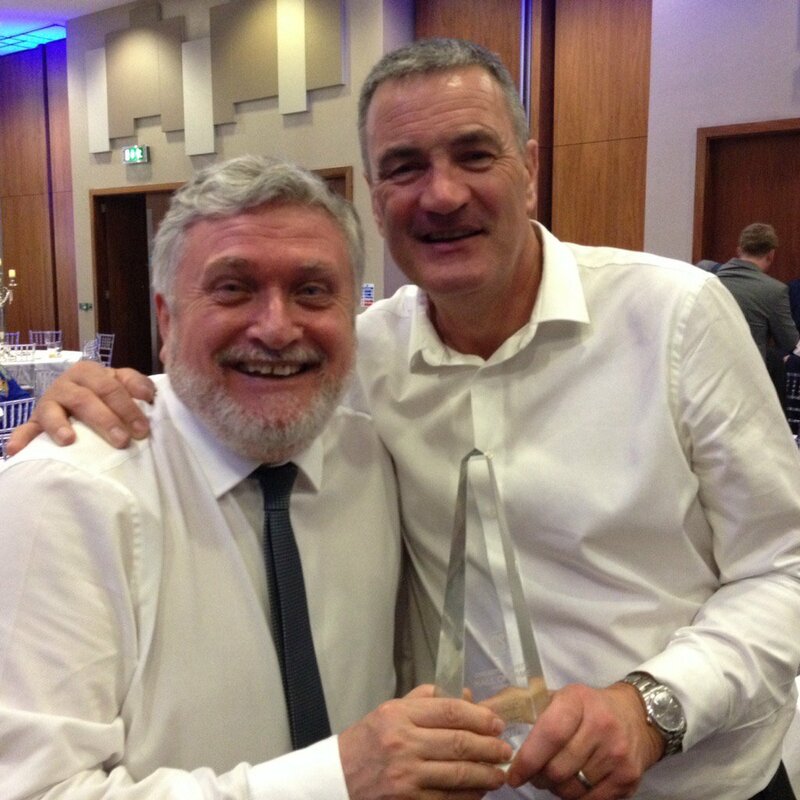 The night didn’t end there and only got better as award after award were given out with Health Through Sport’s Ronny Goodlass scooping the ‘Everton Proud’ award. An achievement gained from the GSHOF team for Ronny’s work with the charity, involvement with the Everton Heritage Society and all other things Everton related. The award was presented to Ronny by former team mate and Everton legend Bob Latchford. Ronny really does do Everton Proud!